Everyone, whether out of work or in a low paid job, should do a benefit check. With the help of online calculators, it’s easy. They ask simple questions about your living arrangements and suggests what you might be missing out on. As how benefits are claimed is changing, millions of people are missing out on critical financial help. Visit this Benefits Checker page to get started. End of the benefit trap? It’s not that work (or better paid work) is not the better option. It almost always is, for those who can find and do it. And, to be fair, the government has tried to make sure employment pays better, ending the so-called benefit trap. It’s just they’ve done this by capping benefit payments, by making it clearer that many benefits are only a stop-gap, and by pushing up the minimum wage so employers pick up the tab. On the plus side, under Universal Credit workers can also keep more of what they earn. The Government wants no household living on benefits to be better off than the average working household. This is bad news for families who claim for larger homes (with higher rent) and support with more children. They can receive no more than £442.31 a week in London and £384.62 outside the capital. Single people will also be unable to claim more than £296.35 (London) or £257.69 (non-London) per week. Universal Credit. Estimates of up to nine million people will be moved onto Universal Credit (UC) by the end of 2023. 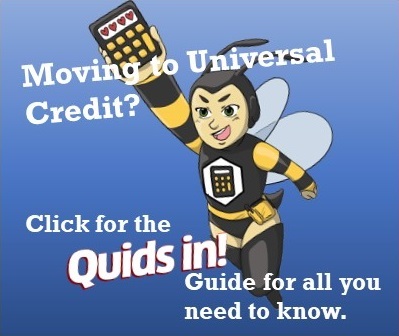 Everyone currently on housing benefit, income support, jobseekers or employment and support allowance, or child/ working tax credit will move. Of those who have moved already, one in five have had problems although the system is being improved as it goes. Claimants are paid monthly, in arrears, waiting five weeks for the first payment – if the claim goes smoothly. Payments for all claimants in one household are paid to one individual. Claims must usually be made and managed online and payments must be made into a bank or suitable account, (eg, not into a Post Office account). Whether in work or not, almost all claimants must agree to try to find a job or a better paid one. On the up side, earnings are not deducted pound for pound from the benefit and some people have an allowance before anything is deducted. There is also no requirement to sign off if working, even if that’s more than 16 hours. Things have got really tough for many people. To help people hit hardest, we include links to help from charities and groups who offer help and support. There are still some loans and grants available but there are fewer than before. The pages in this section are a beginner’s guide to welfare: How it works (for new claimants) and the changes (for those on benefits already). We offer an overview but cannot give too many details as things are changing all the time and everyone’s claim is unique to them. Look for specialist advice if you think you’re entitled to. Things are changing all the time so if you notice something is out of date or wrong, let us know and we’ll check and put it right. Let us know if these pages help you or if your organisation wants to be listed by clicking here. In July 2017 we published a special blog on benefit checkers exclusively for Readers Club members. You can read the blog here, and if you’re not yet a member, sign up for free here.